Kingsley are proud to be partnered with PRO-FORM our neighbours from across the ditch. Distributing the REVOLUTIONARY Bed Protection System Sportguard. 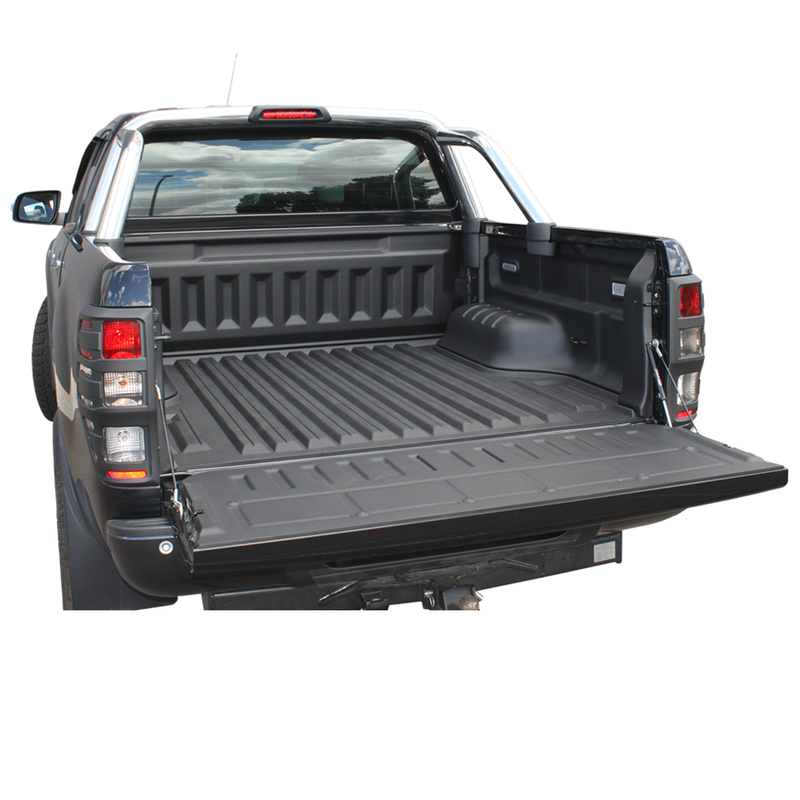 PRO-FORM set out to develop a protection system for your pickup truck bed that overcomes limitations with existing protection options. Offering a unique combination of formed to fit style; tough, durable material and an intuitive ‘snap-fit’ installation which makes it a true revolutionary protection system. SPORTGUARD™ is the ultimate vehicle enhancement. Formed to fit the contours of your pickup truck the SPORTGUARD™ offers seamless integration with the pickup truck bed. PRO-FORM’s subtle and organic style both compliments and enhances the appearance of your truck. SPORTGUARD™ ships in one box and is simple and intuitive to fit. With 5-pieces that snap-fit together, it is quick and easy to install and can be fitted without drilling holes in the bed or requiring any specialised tools. All fitting components come in one box, making packing and shipping simple. SPORTGUARD™ has a rubberised floor made that provides a unique non-skid surface to very effectively prevent your cargo from sliding around in the truck bed. The unique formed to fit design means all factory-fitted tie hooks can be accessed to maximise functionality. Check out the range at www.bushranger.com.au, or use the vehicle section tool to see availability for your vehicle. To purchase visit your local Bushranger or ARB representative. Be a Bushranger join the conversation at facebook.com/bushranger4x4gear.